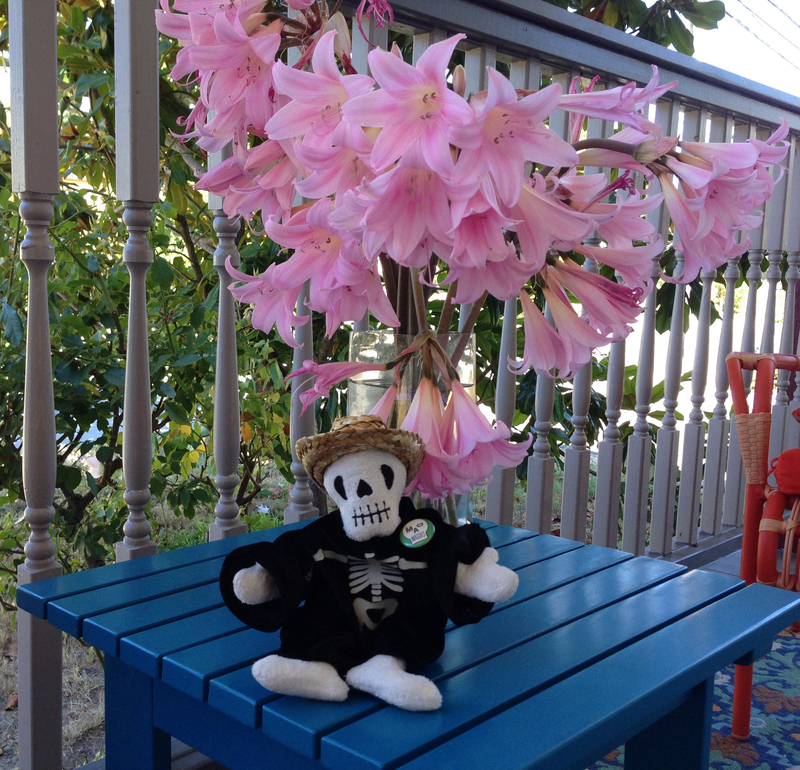 Our mascot “Death” is enjoying the beauty of Sonoma County in August. Naked Ladies are a kind of Amaryllis which blooms at this time of year. “Naked” refers to the fact that they have no leaves. The have a wonderful scent and bloom profusely. The whole plant is poisonous, especially the bulb. death, Naked Ladies, Sonoma County.